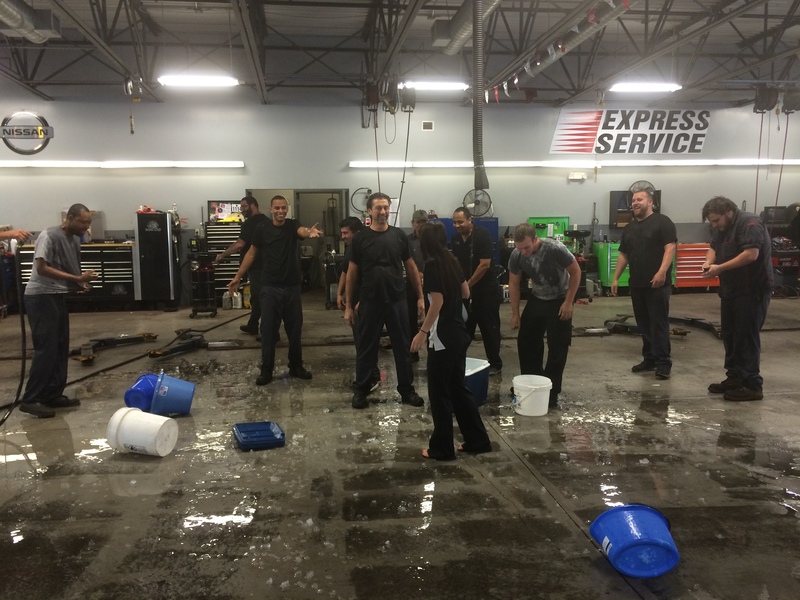 The reason all these wonderful people that work at Windsor Nissan in East Windsor, NJ in the Service and Parts operation are chilling their brains is not some crazy or silly stunt, but rather to raise awareness for amyotrophic lateral sclerosis (ALS), the lethal neurodegenerative disorder also known as Lou Gehrig’s disease. The hope is to get other Nissan dealerships involved in this fad and in the end to encourage more automotive dealership operations to help this noble cause while building team camaraderie amongst employees. If you have no idea as to why you keep coming across photos and videos of people on facebook, instagram, twitter, and every social media platform in the world it is because the #icebucketchallenge, to raise awareness and money for ALS, dares nominated participants to be filmed having a bucket of ice water poured on their heads. A common caveat is that nominated people have 24 hours to comply or forfeit by way of a $100 charitable financial donation. Any amount, higher or lower, is welcomed, but $100 has become the norm in relation to the #icebucketchallenge. 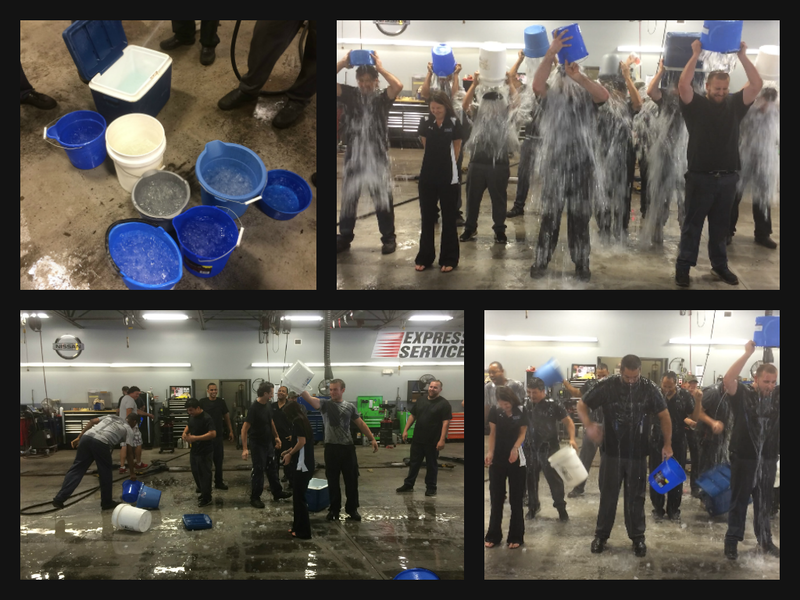 Prior to actually being doused with ice cold water, the nominated participant must accept the challenge on video. After having a brisk wake up call in the form of freezing cold water poured over one’s head, the proud and wet individual can call out a challenge to other people. Hence, how this crazy and awesome stunt as gone viral online, across social media, news outlets, amongst celebrities, across the globe and has inspired the team members at Windsor Nissan in New Jersey. 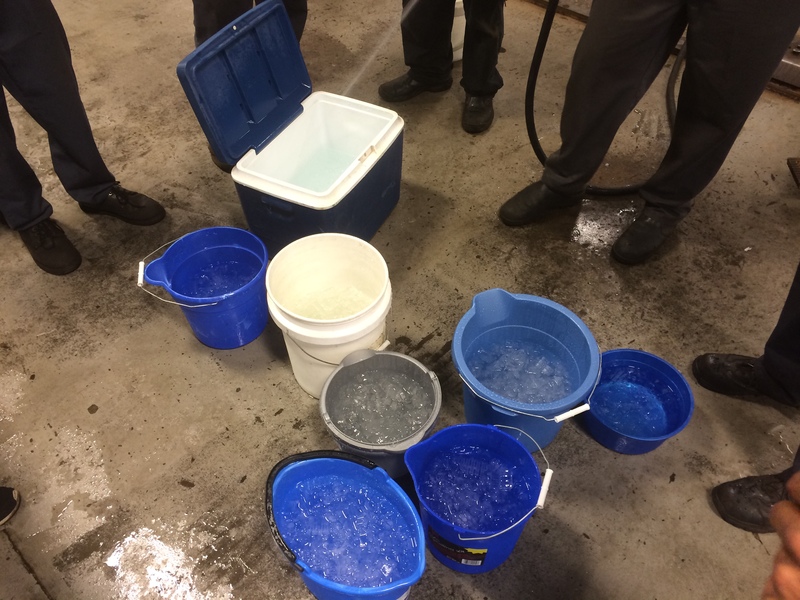 The viral ice bucket challenge that’s all over your Facebook feed has lead to record donations for the ALS Association. To be exact, through Tuesday August 19th, the ALS Association has raised $22.9 million in donations over the last three weeks. Compare that to the $1.9 million donated during the same time period just one year ago (July 29th – August 19th). There are 453,210 new donors to the ALS Association. To really put this in perspective, the ALS raised $23.5 during the entire 2013 calendar year. The Ice Bucket Challenge has raised nearly $23 million in less than a month compared to $23.5 million in 2013. This viral sensation, which has used the hash tag #IceBucketChallenge, has attracted hundreds of thousands of followers who willingly dropped frozen ice on themselves and issued the challenge to others so why don’t you join in on the fun and help a noble cause at the same time. The wonderful and hard working Service and Parts employees at Windsor Nissan on Route 130 did and we are proud as can be regarding their fundraising efforts. Do you accept the challenge?